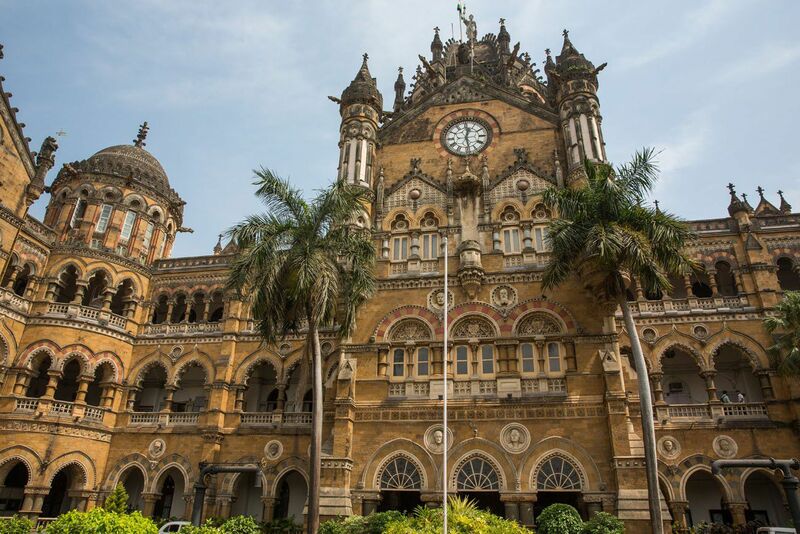 Mumbai, our second stop in India, is a city that exceeded my expectations. After our tour through Nepal, Bhutan, and northeast India, we were all ready for another big city. 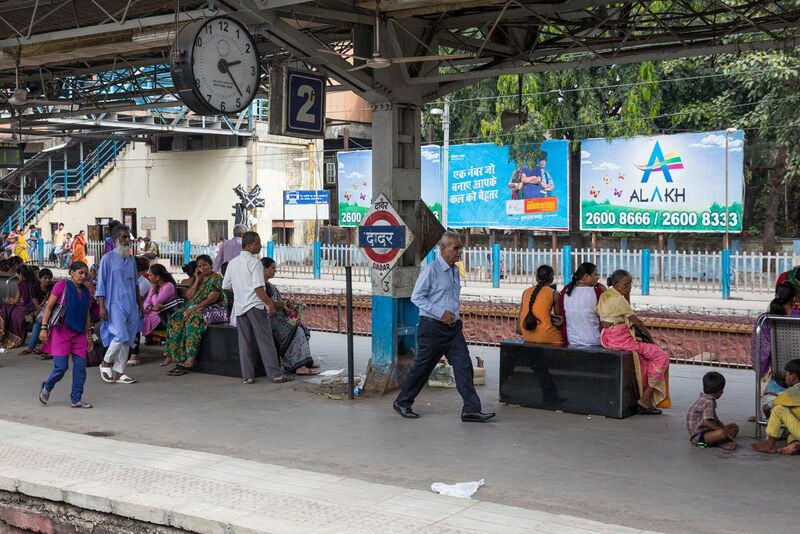 Mumbai, known as Bombay until 1996, is one of the world’s largest cities by population. This city is the fifth largest in the world and the largest in India. 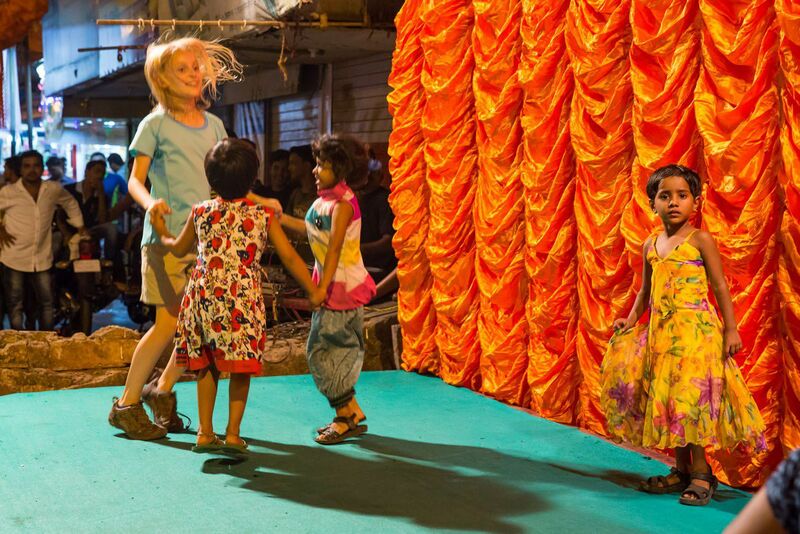 Most of the city’s population lives in slums, which we learned on our tour of Dharavi with Reality Tours. 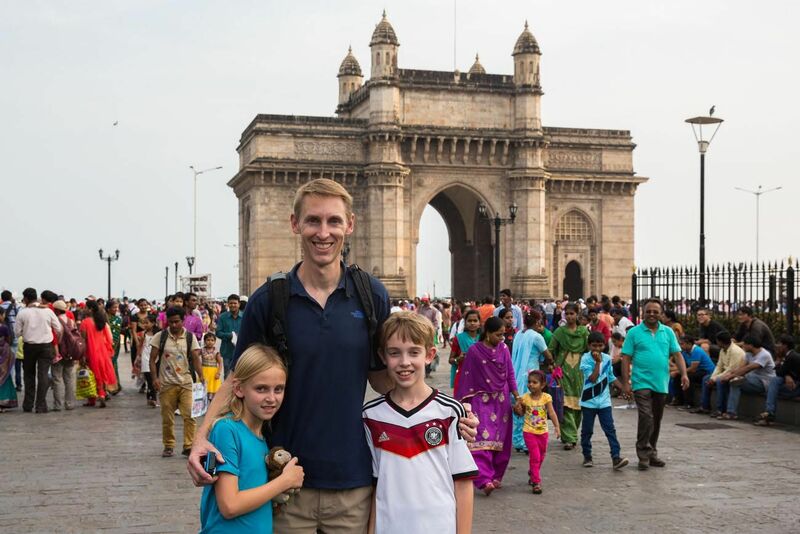 Our family had three days to explore Mumbai. We did a lot of walking, rode in tons of taxis (which are dirt cheap! ), and took short hops on the train. 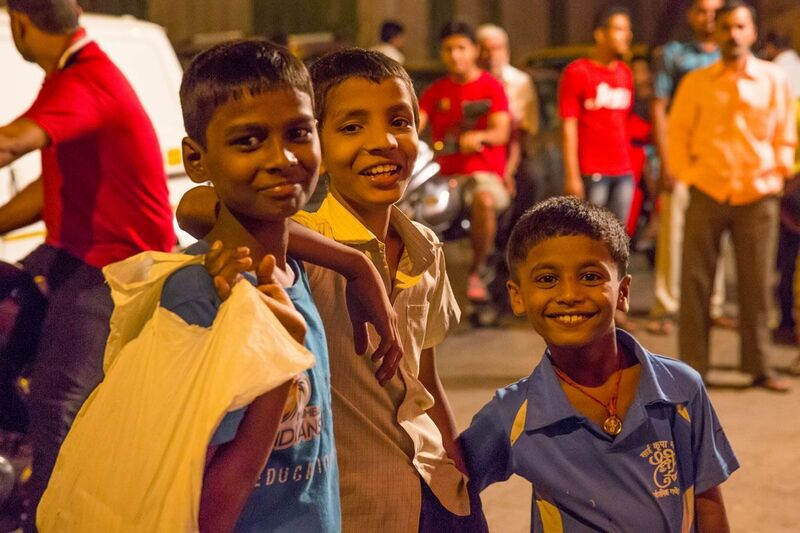 During our time here we learned that Mumbai is never boring, it’s filled with friendly people, and it’s very chaotic at times. 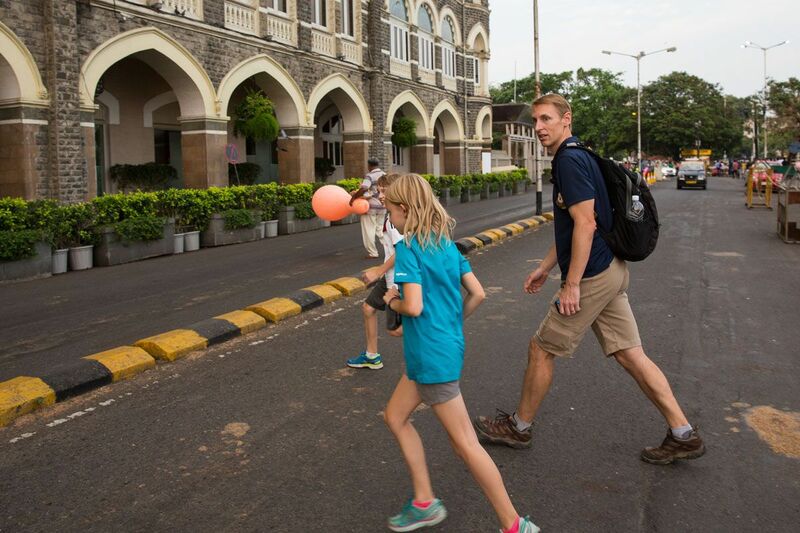 Walking through the streets is the best way to see Mumbai. 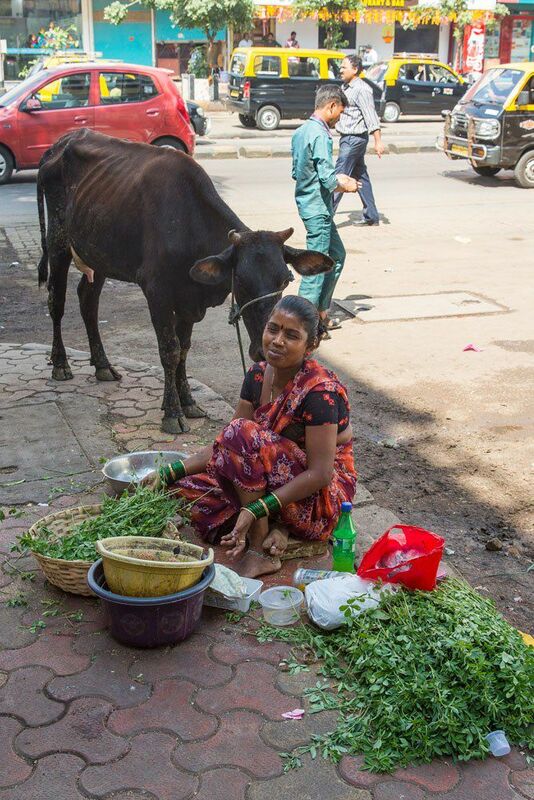 There is so much to look at here…people, cows, goats, shops, market stands set up on the sidewalks. 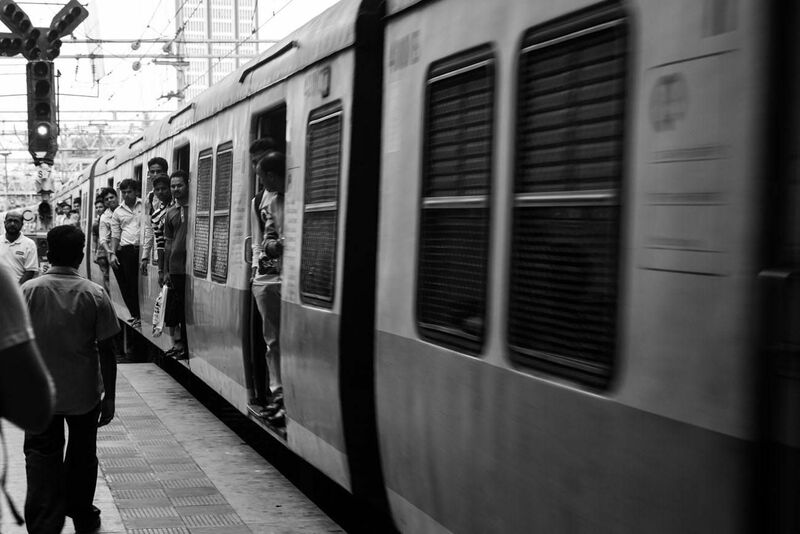 Mumbai is dirty, with trash everywhere, funky smells, and animal feces on the sidewalks. 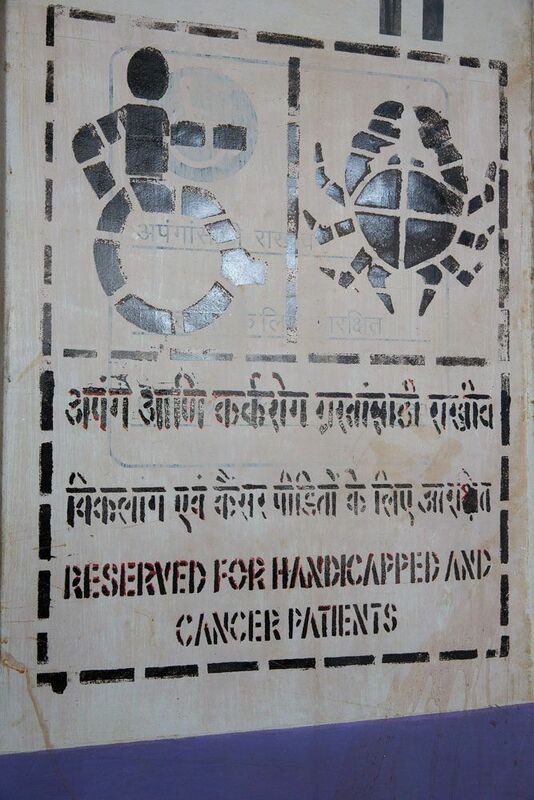 We saw lots of signs telling people to keep Mumbai clean but it was next to impossible to find a trashcan. Crossing the streets in Mumbai is an adventure! There are hardly any crosswalks here and street lights are not always obeyed by the cars. During the first taxi ride we took in Mumbai, from the airport to our hotel, our driver literally ran every single red light. He had a lot of close calls with other cars and people crossing the street. It was insane. Crossing the street here is like playing Frogger. To get the hang of it, we followed the lead of the local people at first. So, how does a person cross the road in Mumbai? You look for a semi-opening in oncoming traffic, walk out onto the road, preferably as a group, as there is some safety in numbers, trying to at least slow down approaching traffic. Cars would either slow down or go around us, then we would continue on to the other side. Once we got used to it, it actually got to be fun, in some weird, twisted way. The taxis looked similar to the black taxis of London, although these were much more banged up and dirty inside. The roads would be filled with taxis. 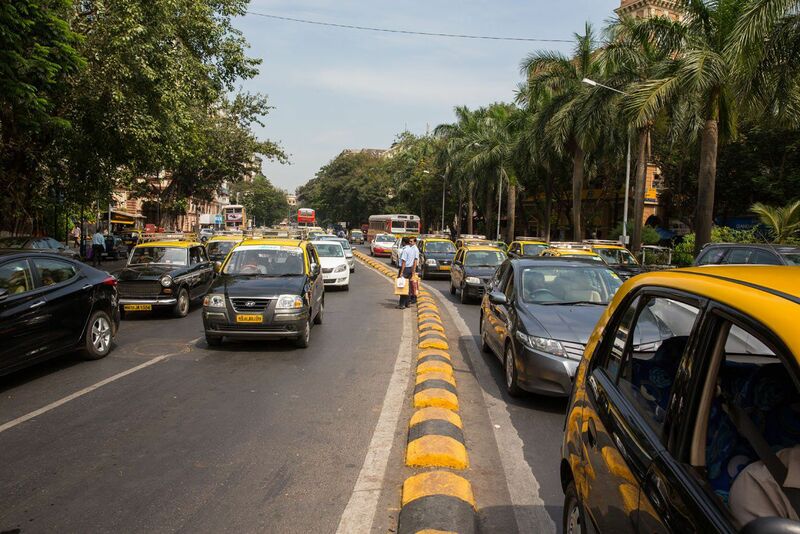 We heard one estimate that there are 60,000 taxis in Mumbai. 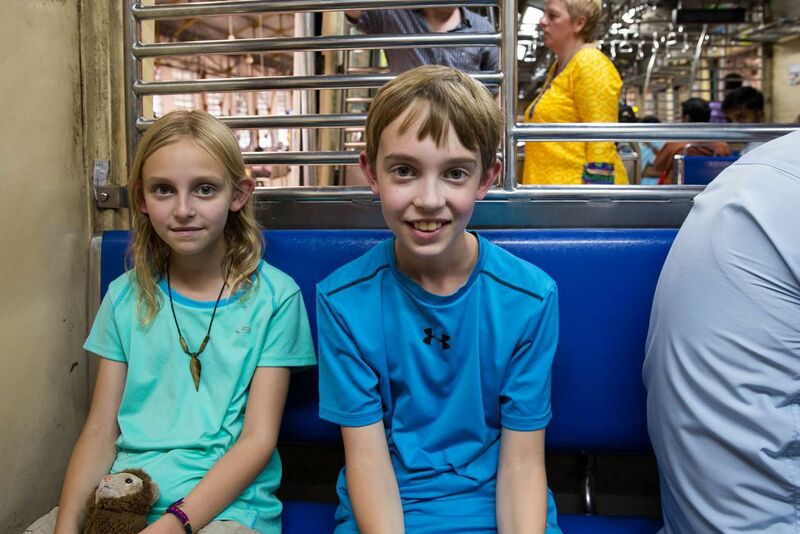 We rode the train a few times. 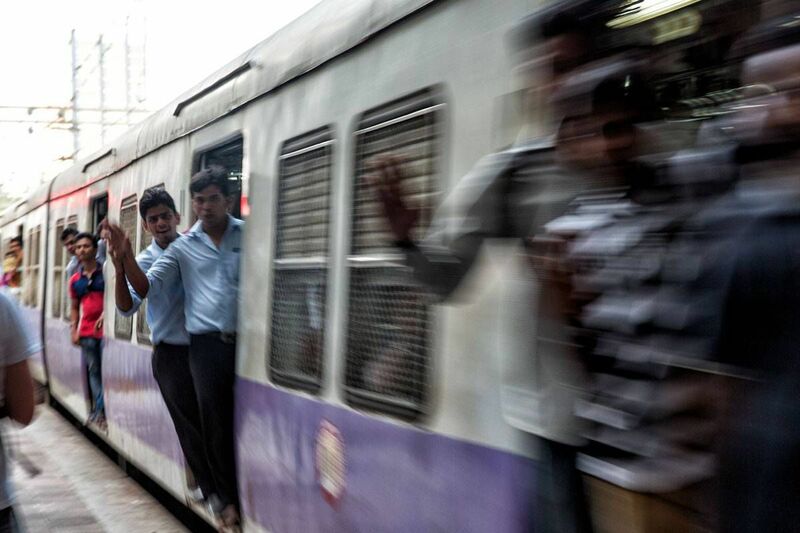 The train is called the lifeline of Mumbai. If the train shuts down, the city stops. These trains are notorious for overcrowding during rush hour, with people packing themselves inside and on top of the trains. This we never saw as we only rode the train during off peak hours. The trains were fast and efficient, running every three minutes, and fairly clean. There were cars for women only, first class cars, and cars for handicapped/cancer patients. 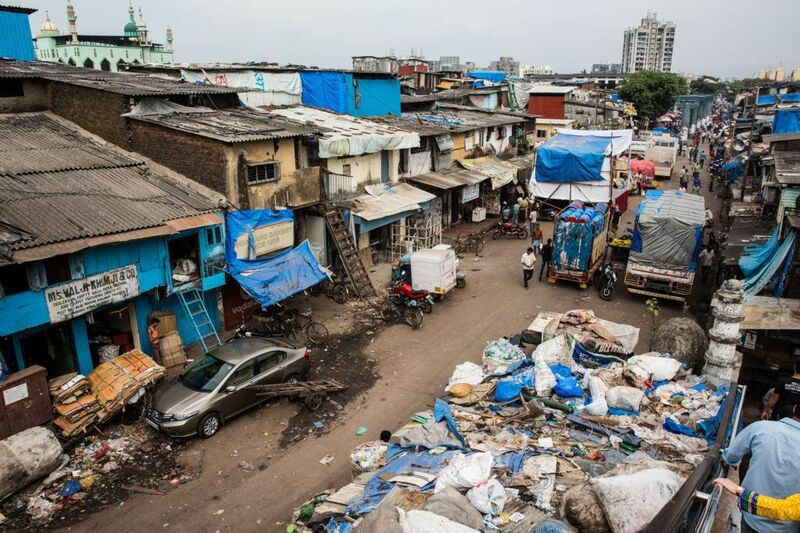 We took a tour of Dharavi, Mumbai’s and India’s largest slum, which was fascinating. More can be read about it here. 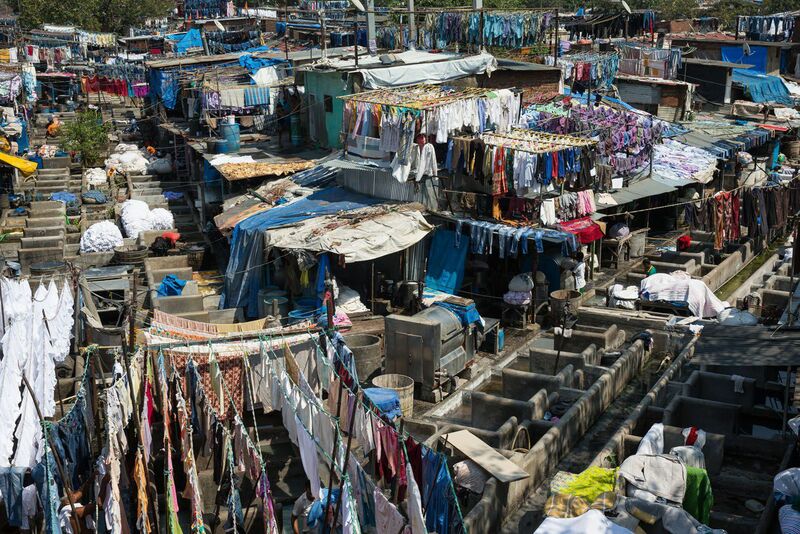 The Dhobi Ghat is Mumbai’s largest open air laundry. Interestingly, it is men only who wash loads of laundry all day at this open laundromat. Hotels send their guests’ laundry here to be cleaned. We were in dire need of clean clothes while in Mumbai, but being too afraid that our clothes would end up here, we decided to wait until Udaipur. On the last night of Diwali, while walking from a restaurant to the train station, we came across a small stage with techno Indian music playing. Several very young girls were on the stage dancing as their parents watched. Kara, who loves to dance and always loves a party, joined these girls on stage. Little did we know what a crowd she would draw. Within minutes the crowd grew from a few parents to well over fifty people. They were smiling and waving to us and taking photos of Kara. She danced for a long time, until she was sweaty and tired, and then it was time to go. This was one of the highlights of Mumbai for Kara. This would be the first of many where we would draw a crowd. 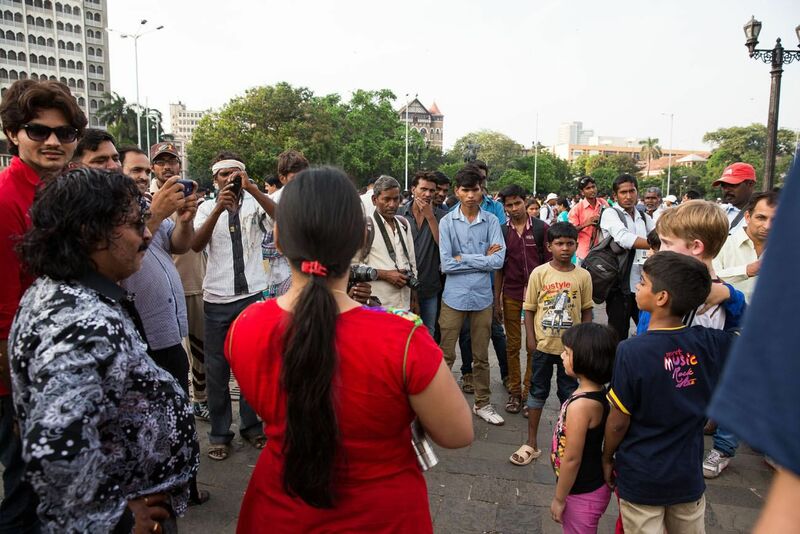 The next day, while visiting the Gateway of India, a small group of people asked to have their photo taken with us. We politely agreed. This small group became a bigger group, until family after family were asking to have their photo with us. What was fun at first became exhausting and eventually annoying. Our cheeks were sore from smiling and the crowd was never-ending. We got a glimpse of what it is like to be a celebrity in public. 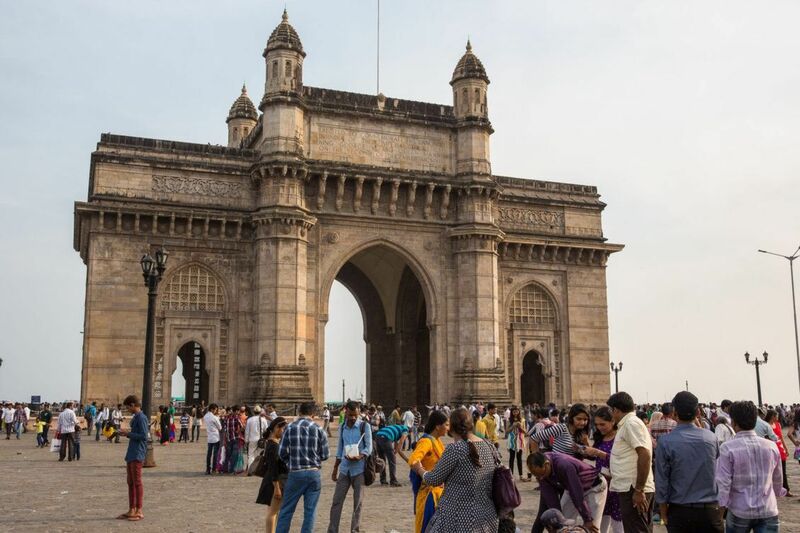 Eventually we got free of the crowds of the Gateway of India, but this scenario would play out again and again while in India. Maybe we should start charging a few rupees per photo!! Here is a much smaller group of people that also wanted their photo with us. When the groups were small it was actually very fun. We learned to make our escape before any more people joined in. 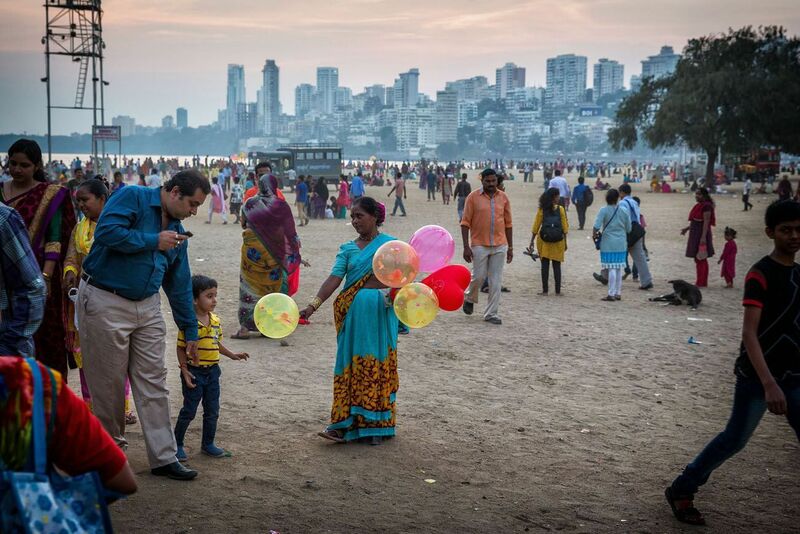 This is Chowpatty, Mumbai’s beach, and a local hang out spot in the evenings. This was the start of our street food tour with Reality Tours, which was awesome (read more). 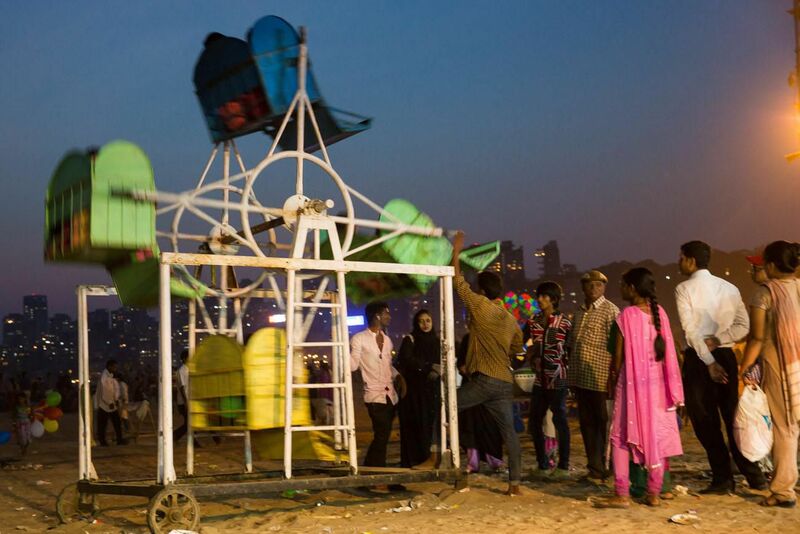 While at Chowpatty, Tyler and Kara had a chance to ride a manually operated merry-go-round on the beach. By now Tyler and Kara were desperate for an amusement park so this would just have to do. 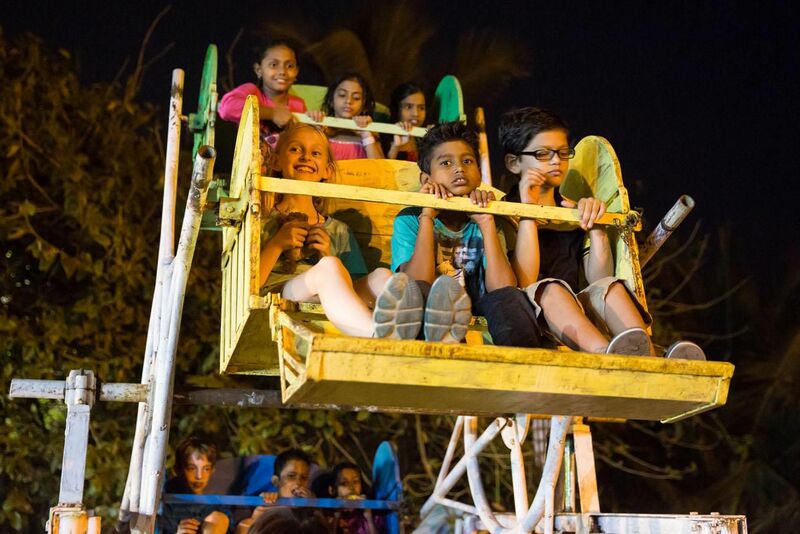 They joined other kids for a quick spin and had a lot more fun than they were expecting. 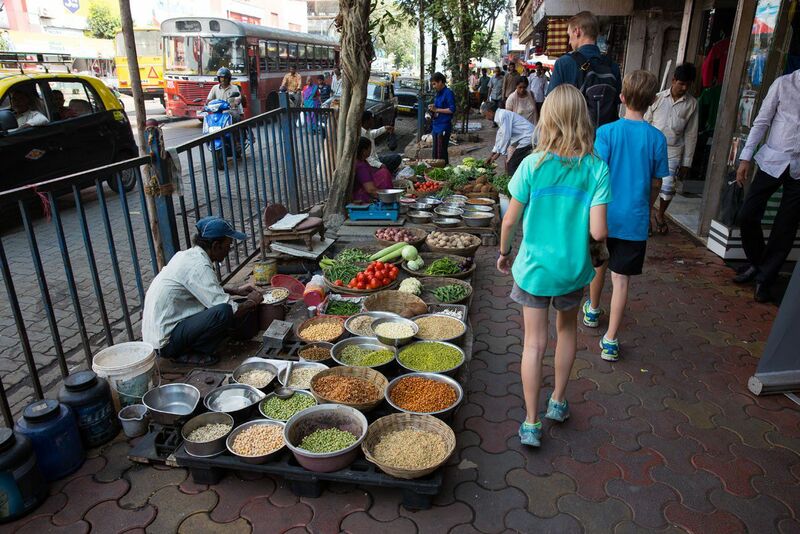 The street food tour was excellent, my favorite thing we did in Mumbai. The four of us got to try many foods we never would have eaten on our own, and most of it was very good. Being a physician assistant, I am fascinated about medical care in the countries we visit. 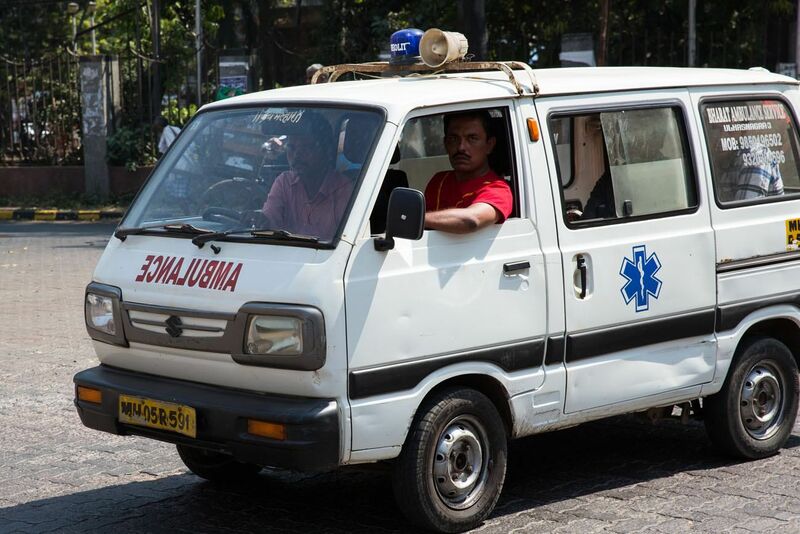 For a city like Mumbai, I was a little surprised at the very small size of this ambulance. As we approach our half way point with home schooling, I had to print out some of Tyler’s and Kara’s next set of tests and math books, and this was a great place to do it. 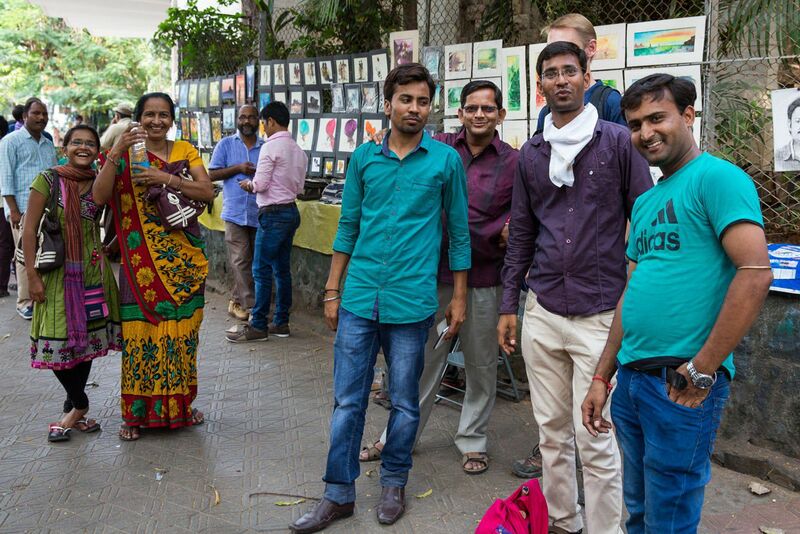 Mumbai was a great stop on our tour of India. Lots of good food, lots of good sights, never boring. We still have a very long way to go through India, and our adventure continues in the much more sedate city of Udaipur. Where We Stayed. Hotel Kumkum. This was a good budget hotel near the Grant Road Train Station. Our family of four shared a deluxe room with one queen bed and two added mattresses with ensuite bathroom for $50 per night. 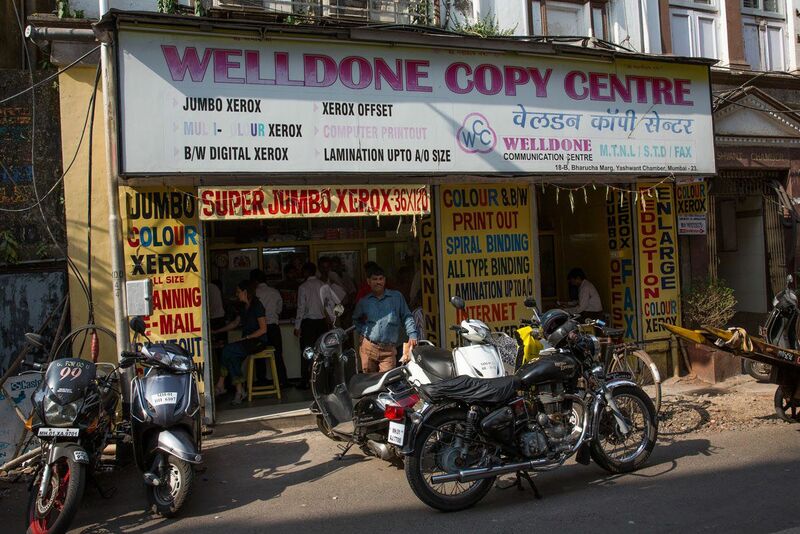 It was nothing fancy, but it was clean and relatively quiet and a great home base in Mumbai. Where We Ate. Kala Ghoda Cafe. Located in the Fort Area, we ate here twice we liked it so much. The cappuccinos were amazing and the food, a good selection of western food, was very good. A Great Tour Company. 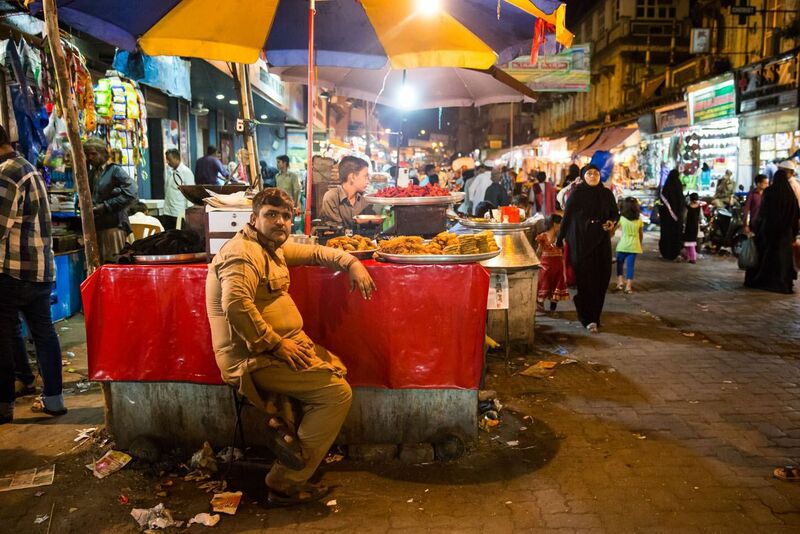 We used Reality Tours for both the Dharavi tour and the street food tour. They run very interesting tours and the guides are very friendly and full of information. 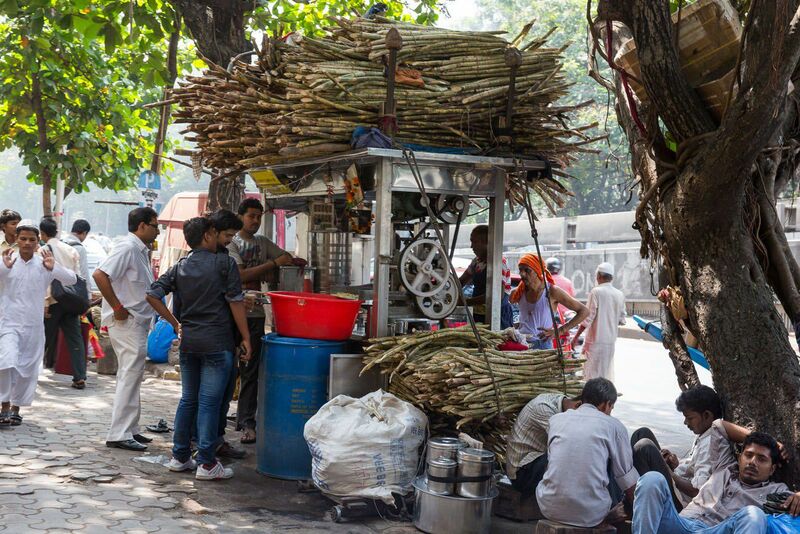 Their street food tour was so good that we are considering doing it again while in New Delhi. 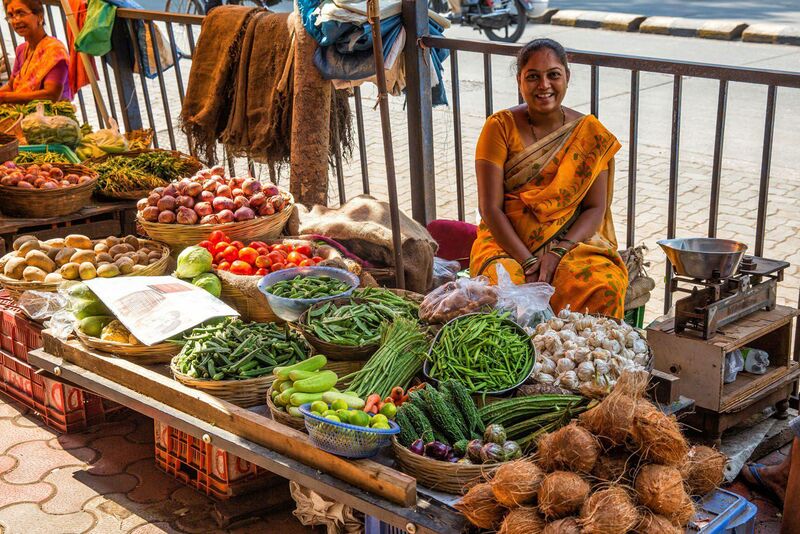 Are you planning a trip to India? 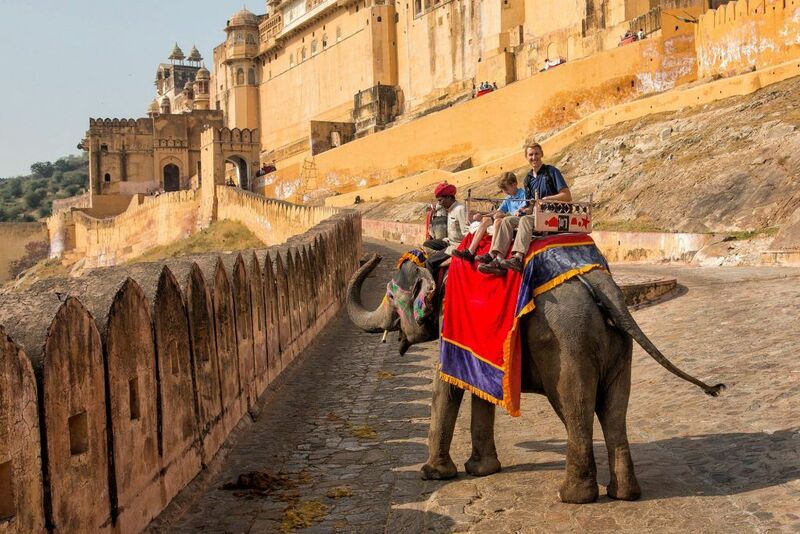 Read all of our articles about India in our India Travel Guide.